It’s been cold here this week. I’ve had to take the hummingbird feeder inside to thaw and one particularly possessive hummingbird has been guarding the nectar, dive bombing another birds that dare to sip. While cold sugar water isn’t my thing hot liquor water can be and so the winter warmers continue. I’ve been thinking about what gifts to give this year. I’ve also been thinking about whipping up some hot buttered rum batter for the Christmas season. When I ran across Smitten Kitchen’s Butterscotch Sauce I thought why not combine the two so folks don’t feel obligated to booze it up- they’ll have options. Drinks or dessert or both. The choice, my friends, is yours. Melt butter in a medium heavy-bottomed saucepan over medium heat. Add the sugar, cream and salt and stir until well blended. Bring to a very gentle boil and cook for about 5 minutes, stirring occasionally. Remove from heat and add the vanilla extract, stirring to combine. Taste and add more salt if desired just be careful- butterscotch and caramel are insanely hot, I’ve burnt my tongue more than once on sugary goodness. Add spices and throughly combine. Sauce will thicken as it cools. 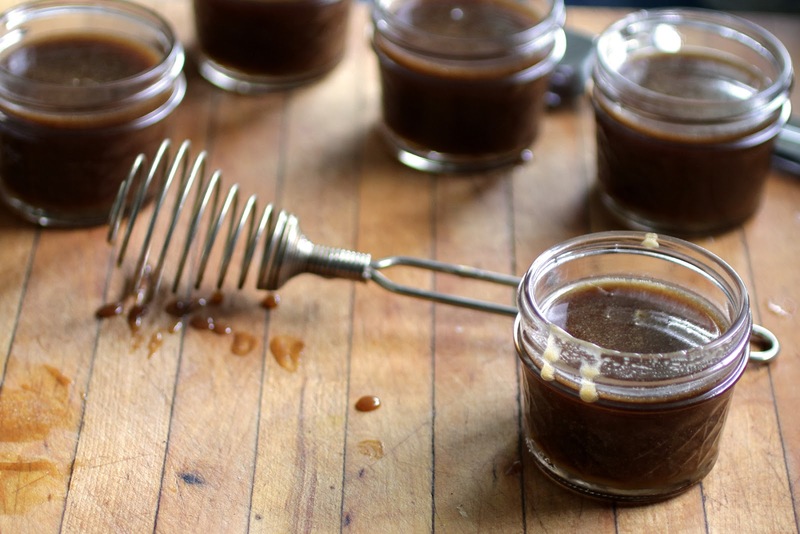 Serve as a sauce over ice cream or it is also wonderful in hot buttered rum- see recipe below. Store refrigerated in a covered container. This bad boy is bold and warms you from your tongue to your toes. Stir to combine. Garnish with a cinnamon stick and/or whipped cream drizzled with just a bit more sauce. 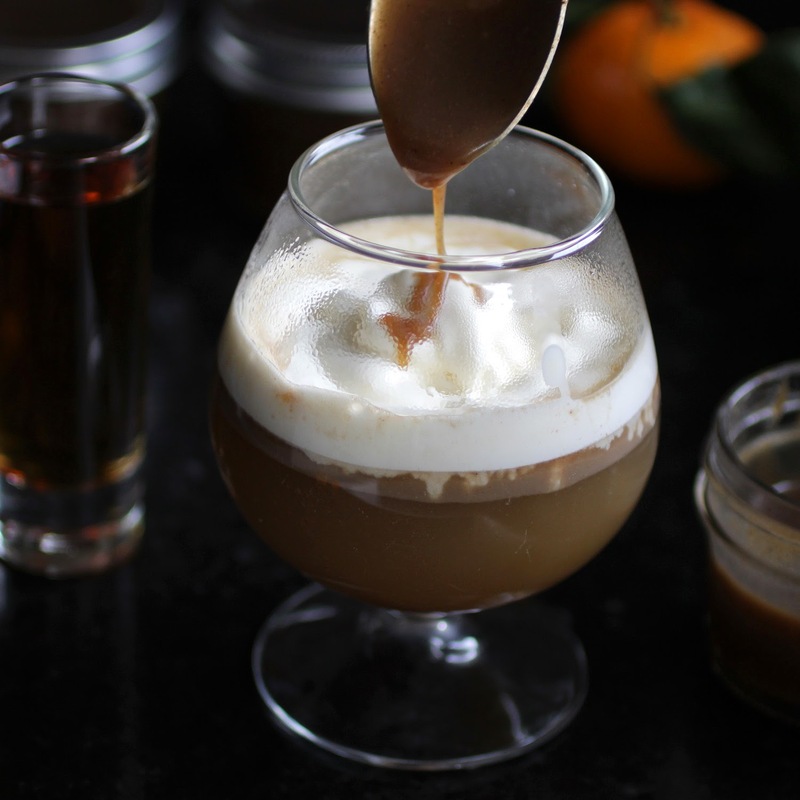 For my photo shoot I tried this with the coffee infused rum, yum! but it definitely benefitted from the added indulgence of whipped cream.